A King or Twin Room with En-suite bath/shower. Room has either a Super King Bed or 2 x Single Beds. 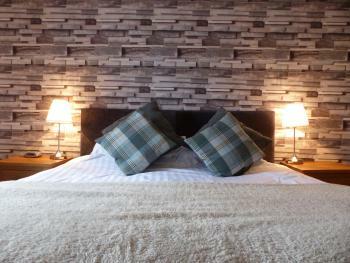 Flat screen TV with Freeview, tea/coffee making facilities, hair dryer, complimentary toiletries, free Wi-Fi. Large Twin Ensuite with either 2 single beds or 1 super king bed via zip link. Room has flat screen TV with Free View, tea and coffee making facilities, hair dryer, complimentary toiletries, free Wi-Fi. 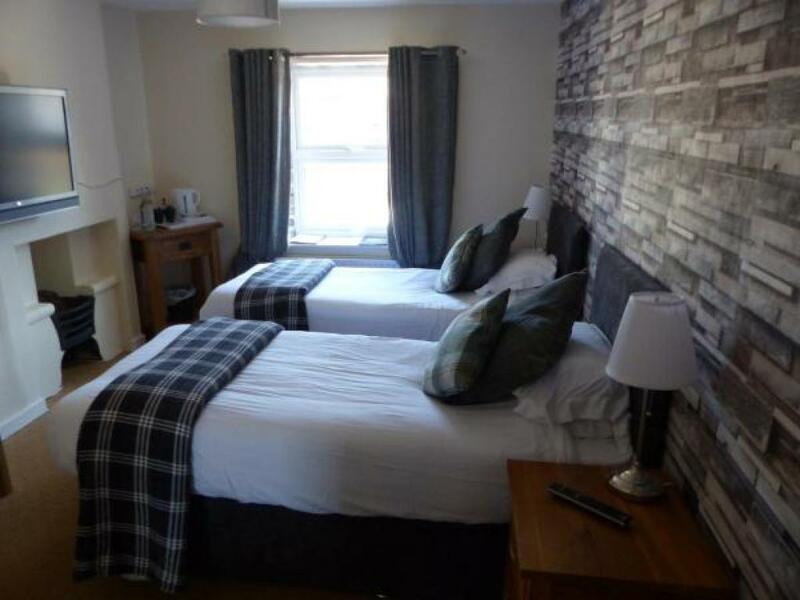 A Separate Double room and twin room with connecting door, with en-suite bath/shower in the twin room. 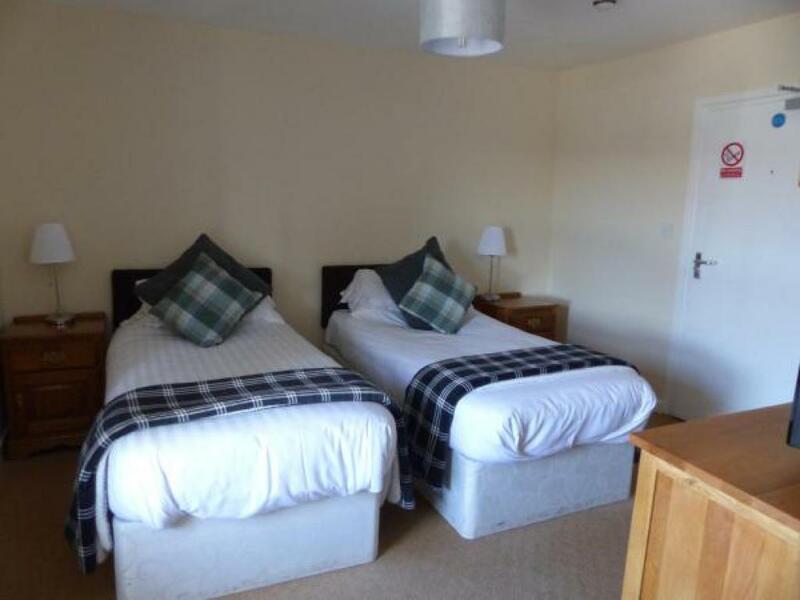 Double room has a Super King bed; Twin room has two single beds. Both rooms have flat screen TV with Free View, tea and coffee making facilities, hairdryer, complimentary toiletries, free Wi-Fi. A double room with en-suite bath/shower. Room has a large double bed, flat screen TV with Free View, tea/coffee making facilities, hair dryer, complimentary toiletries, free Wi-Fi. 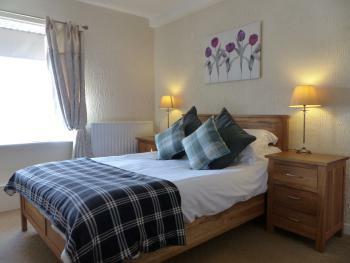 A large triple room with en- suite bath/shower. Room has three single beds, flat screen TV, tea and coffee making facilities, hair dryer, complimentary toiletries, free Wi-fi. 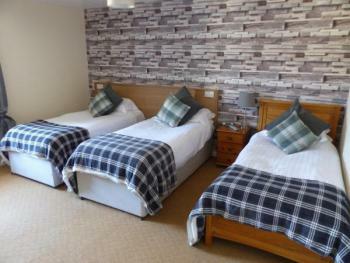 Twin Room with two single beds. 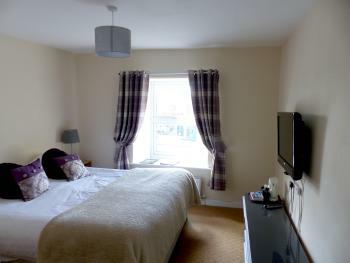 Room has flat screen TV with Free View, tea and coffee making facilities, hair dryer, complimentary toiletries, free Wi-Fi.